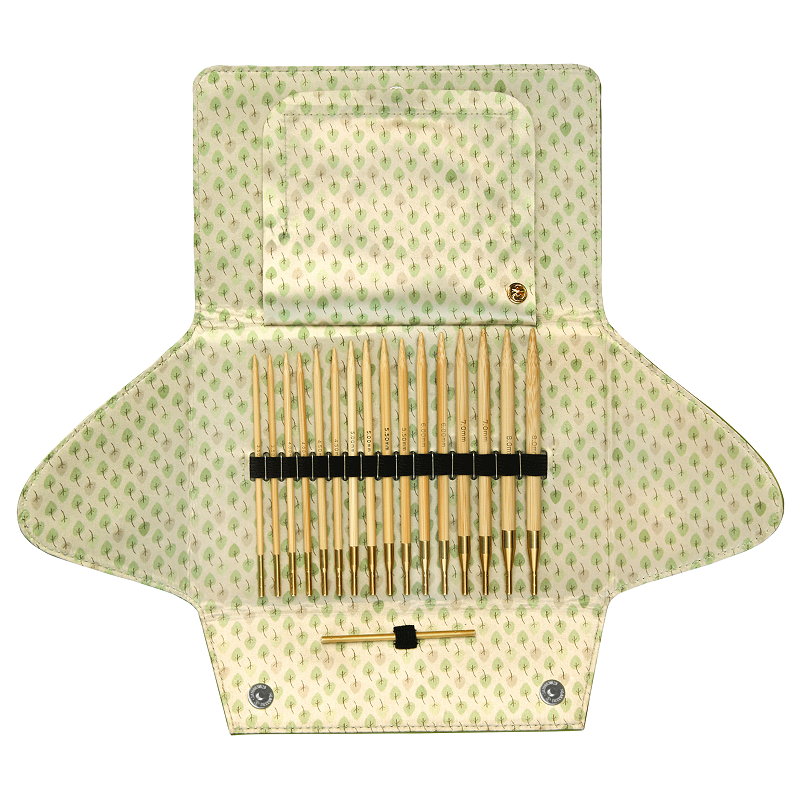 The beautiful ADDI bamboo interchangeable knitting needle set has a green, silk lined, wallet-style case. A lovely gift for lovers of the bamboo needle and anyone who prefers a warmer feel to their needles. 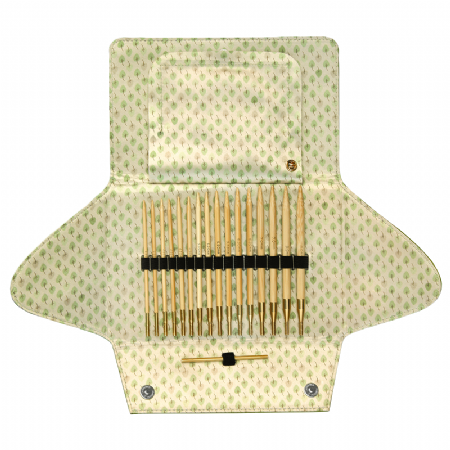 Set comprises wallet case with 8 pairs of bamboo needle tips, 13cm long, in sizes from 3.5mm to 8mm and 3 different lengths of pliable gold cord with brass fixings: 60cm, 80cm and 100cm, 1 connector, 1 brooch. This is the ultimate in knitting luxury! Finest quality bamboo needles in a fresh green wallet, lined with leaf-printed silk and with a little addi heart pin to wear - just to show how much you love addi! This top quality set allows over 300 possible variations in knitting needle size and length with a simple push in and twist connection! You can create a cord up to 180m long using the coupling to join two lengths together and you can use two different sizes of needle tip to give extra textural interest to your knitting.